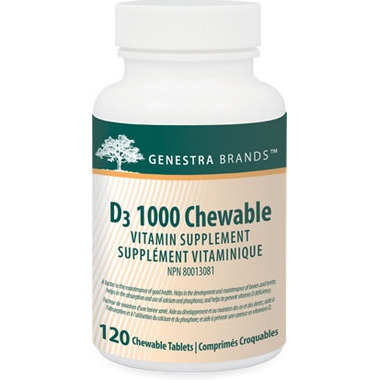 Genestra D3 1000 Chewable offers 1000 IU of vitamin D3 per tablet. Vitamin D improves the absorption of calcium and phosphorous, and helps in the maintenance of bone health. 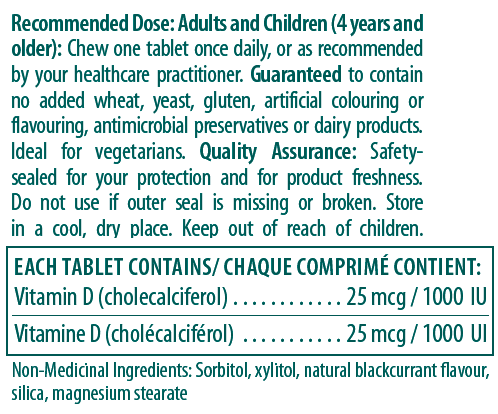 Love the taste, recently switched from regular tablets, and no looking back! Really like all products from this company, never have worries about quality. We have taken these for over a year. Great taste (the kids love them) and an excellent brad of high-quality products.